Josh Sborz does not have any MLB stats for the season. Draft: 2015, Los Angeles Dodgers, CBBth rd. April 20, 2019 Los Angeles Dodgers optioned RHP Josh Sborz to Oklahoma City Dodgers. 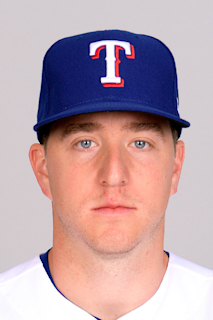 April 14, 2019 Los Angeles Dodgers recalled RHP Josh Sborz from Oklahoma City Dodgers. March 10, 2019 Los Angeles Dodgers optioned RHP Josh Sborz to Oklahoma City Dodgers. November 20, 2018 Los Angeles Dodgers selected the contract of Josh Sborz from Oklahoma City Dodgers. August 24, 2018 Oklahoma City Dodgers activated RHP Josh Sborz from the 7-day disabled list. August 4, 2018 Oklahoma City Dodgers placed RHP Josh Sborz on the 7-day disabled list retroactive to August 3, 2018. May 10, 2018 RHP Josh Sborz assigned to Oklahoma City Dodgers from Tulsa Drillers. February 23, 2018 RHP Josh Sborz assigned to Los Angeles Dodgers. August 8, 2017 Tulsa Drillers activated RHP Josh Sborz from the 7-day disabled list. August 3, 2017 Tulsa Drillers placed RHP Josh Sborz on the 7-day disabled list retroactive to August 1, 2017. June 23, 2017 Tulsa Drillers activated RHP Josh Sborz from the 7-day disabled list. June 15, 2017 Tulsa Drillers placed RHP Josh Sborz on the 7-day disabled list retroactive to June 14, 2017. February 14, 2017 Los Angeles Dodgers invited non-roster RHP Joshua Sborz to spring training. August 1, 2016 RHP Joshua Sborz assigned to Tulsa Drillers from Rancho Cucamonga Quakes. May 27, 2016 Rancho Cucamonga Quakes activated RHP Joshua Sborz from the 7-day disabled list. May 21, 2016 Rancho Cucamonga Quakes placed RHP Joshua Sborz on the 7-day disabled list retroactive to May 19, 2016. March 16, 2016 RHP Joshua Sborz assigned to Los Angeles Dodgers. August 14, 2015 RHP Joshua Sborz assigned to Rancho Cucamonga Quakes from Great Lakes Loons. July 30, 2015 RHP Joshua Sborz assigned to Great Lakes Loons from Ogden Raptors. July 23, 2015 RHP Joshua Sborz assigned to Ogden Raptors. July 17, 2015 Los Angeles Dodgers signed RHP Joshua Sborz.